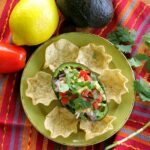 Reference this quick and easy One Avocado Guacamole Recipe next time you need a small batch to top your favorite Tex-Mex dish or as a low-carb snack! Why in the world would you need a One Avocado Guacamole Recipe? Let me tell you some reasons that pop up regularly at my house! There’s an avocado on your counter that needs attention right away! You just need a little guacamole to top your Layered Taco Salad in a jar or Crock Pot Fajitas. You’re making Guacamole Stuffed Deviled Eggs. Finally, I’ve been informed that in some households not everyone eats guacamole. Insert gasp!!! This may or may not be the case at my house! 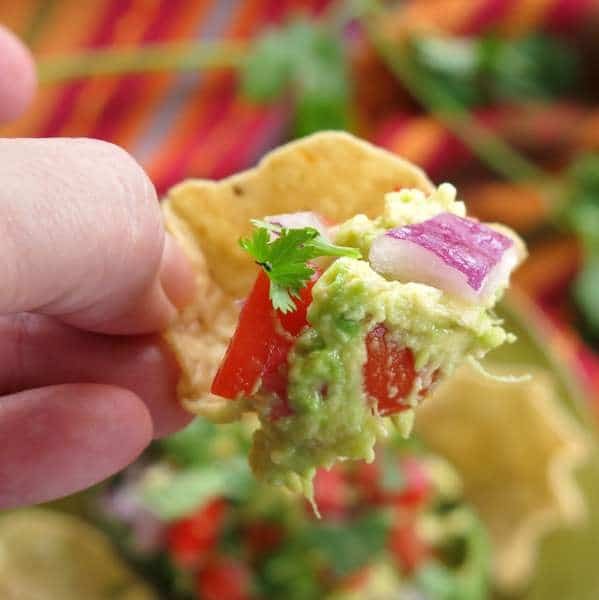 Of course, you could hop over to our popular recipe for Simple Guacamole Dip Recipe and divide everything by 3. Or, just make a full batch and deal with the aftermath! 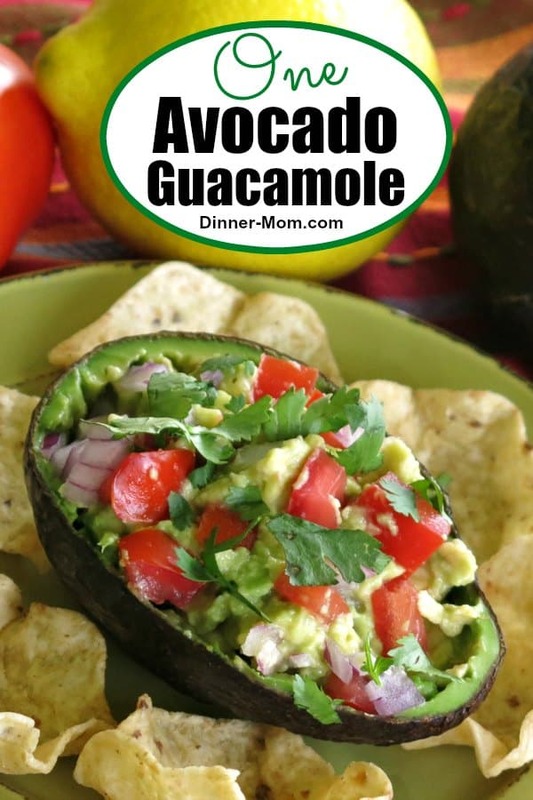 My solution is to bookmark this 1 Avocado Guacamole Recipe for quick reference so I can quickly whip it up and be on my way! Easy Peazy. 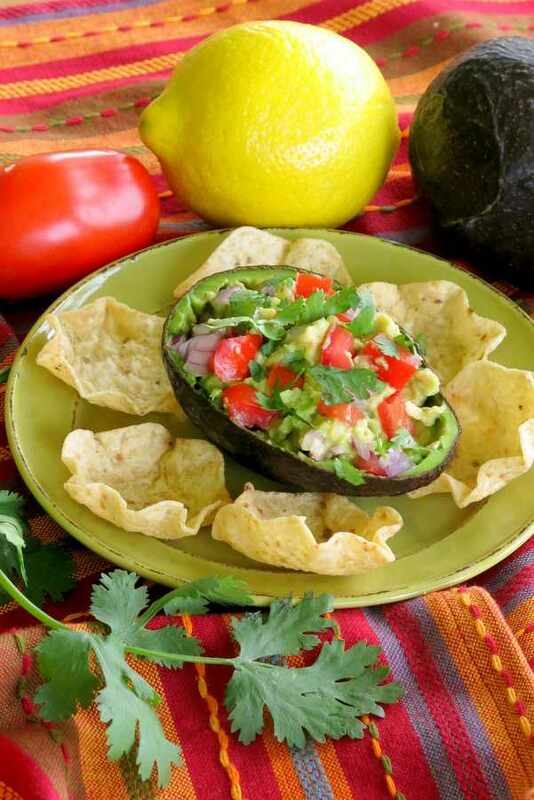 To make this recipe you need a ripe Haas avocado, diced tomato, diced onion, salt and lemon juice. If you like a little heat, add a smidgeon of red pepper flakes, cayenne pepper or chopped jalapeno. If you happen to have cilantro on hand, then by all means add that too! The critical measurements are lemon juice and salt. Use about 1 teaspoon of lemon juice and 1/8 of a teaspoon of salt in total. Although there are measurements below, add tomatoes and onion to taste. That is, a little extra tomato never hurt anybody! Mash the avocado, mix everything together and enjoy! Or, scoop it back into the avocado skin for a fun presentation. Alternatively, cut the avocado in half, scrape the insides up and mix everything right in the avocado! You’ll have to cut this recipe in half, but there will be no bowl to clean! There’s nothing better than homemade guacamole. 🙂 See the full batch recipe and video here ==> Simple Guacamole Dip Recipe. Tag @DinnerMom on social media if you make this (or any other) recipe. We’d love to see what you are cooking up! Reference this quick and easy One Avocado Guacamole Recipe next time you need a small batch. It's a variation of our popular Simple Guacamole Dip. 1/8 teaspoon salt a "pinch"
Cut avocados in half and scoop pulp into a bowl. Mash avocado pulp with a fork. Mix pulp with lemon juice and salt and then stir in remaining ingredients. This was spot on. 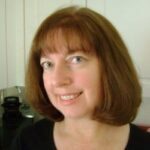 I used this recipe to make a topping for fish tacos! Thanks! My wife doesn’t like guacamole and when I make it at home I eat too much! Your recipe will help me with portion control. Yeah! Yes! That’s my thinking exactly!